Uncrowded slopes and cross-country tracks with perfect snow are the best way to describe the ski areas in Norway. However, in general, downhill skiers play second fiddle to cross-country skiers here as the number of slopes is rather limited. Although, surprisingly, many ski resorts in Norway have very extensive fun parks meaning freestylers who come to Norway will get their money’s worth! Snow conditions are never really in question and the season runs well into April and even early May in some higher resorts. The charming village of Hemsedal, for example, Norway’s number one ski resort, offers some of the highest skiing in Europe with a ski season starting in early November and finishing in May! 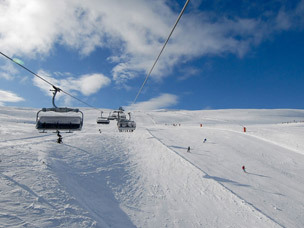 Hemsedal is popular with all levels; beginners will find English-speaking instructors and plenty of wide, gentle slopes; intermediate skiers have a good choice of blue and red runs to practice on; and more demanding skiers can enjoy the wonderful off-piste opportunities and challenging red and black runs.